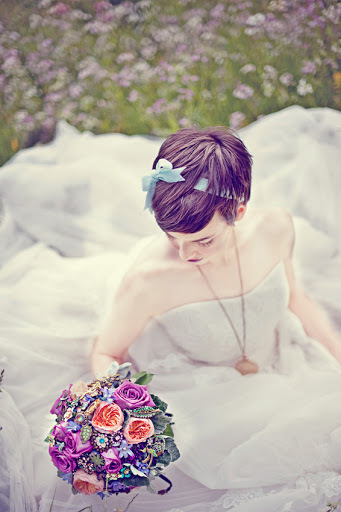 the fabulous wedding photoshoot i took part in last month is now up at style me pretty. be sure to click through the gallery to see the full set! the shoot was put together by the lovely kate miller events, photographed by sarah maren photography, and otherwise assisted by several other wonderful people who you can find linked at the bottom of the original style me pretty post. i am so happy with how it all came together! This entry was posted in posing, promotions by Alison Kranz. Bookmark the permalink. I didn't know you were doing that!!! You look gorgeous, and I want that short white dress!